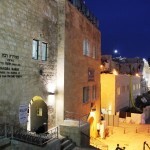 To be fair, we had not tried that many cafes in Jerusalem. 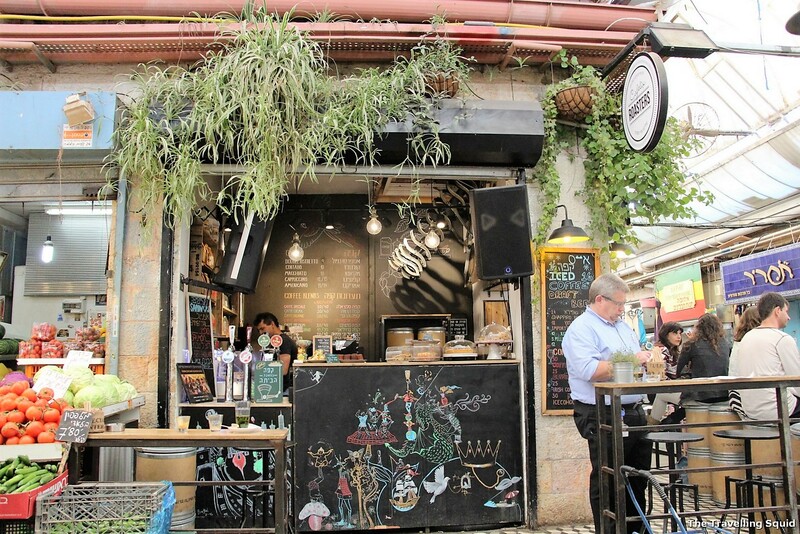 But out of all the coffee we had drunk during our 4 days there, Cafelix Coffee Roasters at Mahane Yehuda market delivered the best long black and piccolo latte. 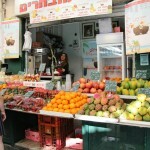 We were walking through the streets of the Mahane Yehuda market. Suddenly, as if two great things had to come together at once, We saw a tiny espresso bar on the left, and a fruit juice stall on the right. 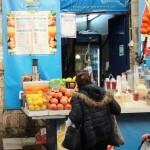 The fruit juice stall was excellent – I will go into the details later on. It’s really tiny (as most legit coffee places are) so you might have to stand and sip your coffee if need be. 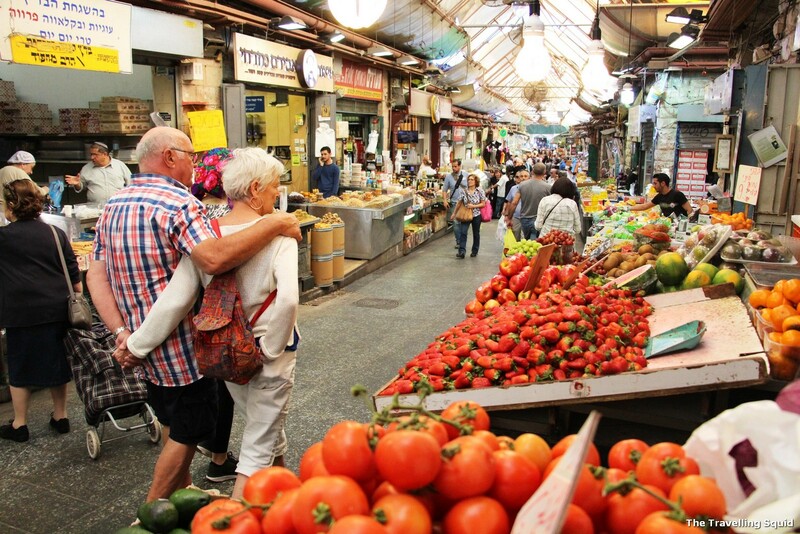 Like the Mahane Yehuda market, its patrons were not only tourists, but locals as well. The coffee tastes better that what it looks in the picture. The long black was strong with the right amount of acidity. 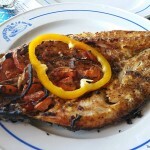 It was robust, and had just the right ‘kick’, and wasn’t too harsh. 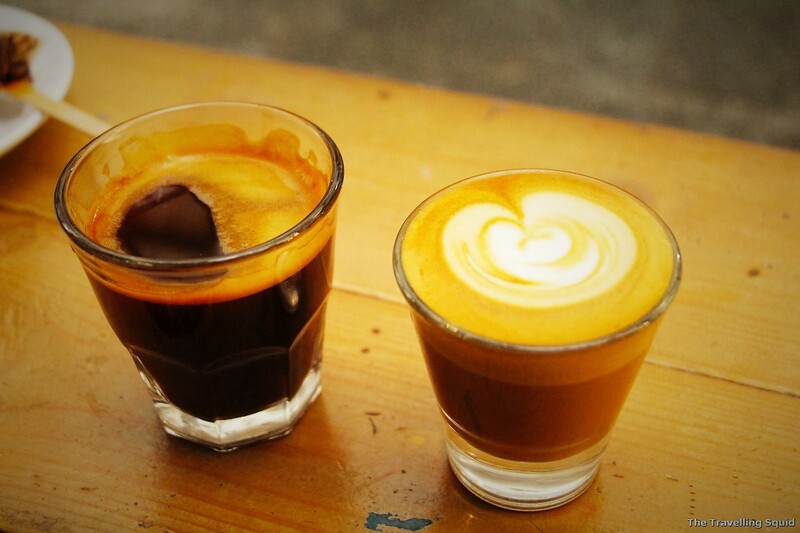 The piccolo latte had the right balance of milk and espresso. It was nice. As the name suggests, Cafelix Coffee Roasters roasts their own beans and they are up for sale. Great if you like to make your own coffee. We eventually found a seat, and it was a great vantage point to people watch. Just watching tourists and locals walking past the lanes of the bustling bazaar. And my biggest reward? Was that of a cute couple which walked by. Cute couple – I know this picture was used before. But I really love it! 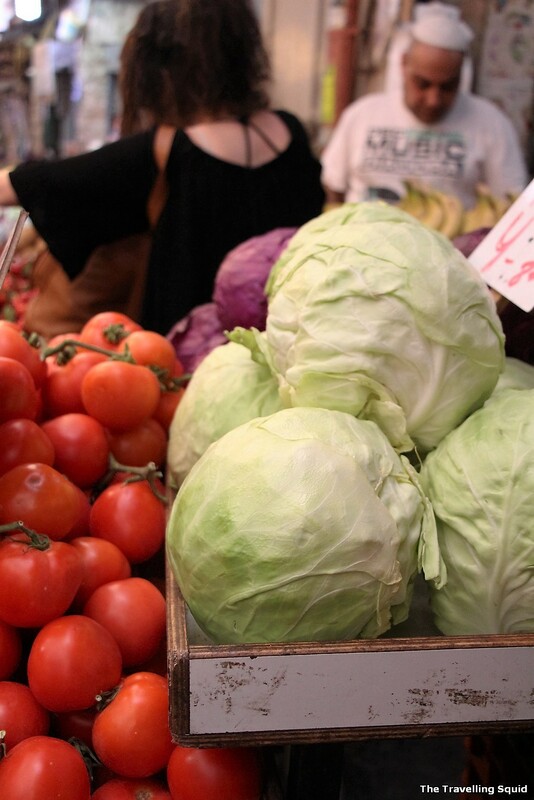 By the way, while people-watching, I also had the chance to admire produce from the fruit and vegetable store next door. Just wanted to say that this Chinese cabbage looks really yummy too.